We completely relandscaped both our side yards in 2002. 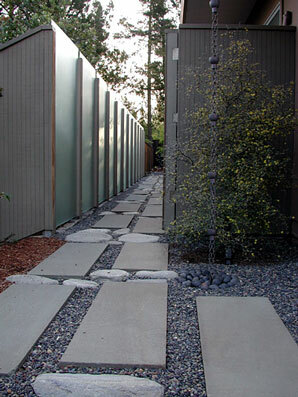 The first photo shows the new stone path and glass panel fence in the left side yard (garage side of house). View more photos of the left side yard, before and after. 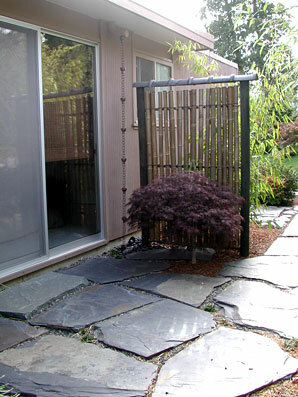 The photo at far right shows the right side yard (bedroom side of house) with stone patio and sodegaki bamboo fence. View more photos of the right side yard, before and after.